In Africa, the art of arranging one's hair, of ornamenting and glorifying one's head, has given rise to the creation of incomparable coiffures. 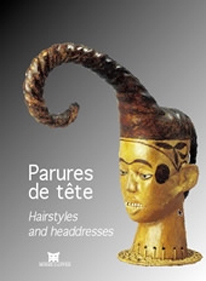 The Pharaohs and priests of Ancient Egypt, the nomads of the Sudan, the kings and diviners of the great Bantu civilisations, the spokesmen of Yoruba deities and the initiates of the powerful brotherhoods in West and Central Africa can all be identified by their hairstyles and headdresses. The repository of collective memory, coiffures have been transposed by sculptors onto masks and figures. Taken from the Dapper Collection, from leading museums and from private collections, the hundred or so objects we have reproduced reveal the astonishing diversity of hair arrangements and headgear - as well as the accessories that go with them. Among the diaspora in the United States or the Caribbean, following in the wake of Angela Davis or Bob Marley, many people have turned their hair into a sign of protest, in order to assert their identity and their difference, thereby influencing others throughout the world.